I recently had a great pair of hot dogs at Fezziwig’s. Stopping in last week to take a break from simply sitting in traffic right in front of their shop (hey Sarah Long bridge, when will you be open again? ), I finally ordered the “Two Hot Dogs” menu item I’d been daydreaming about since the last time I stopped by. It did NOT disappoint. Two great hot dogs that were so flavorful, they made me question why hot dogs aren’t a regular staple in my diet. Warm buttered rolls and my choice of condiments (some relish and mustard), plus a side salad for bonus nutrients. 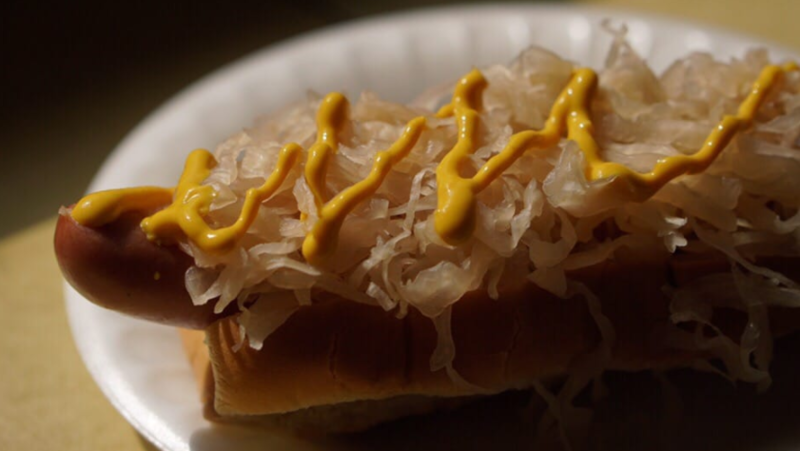 And we can’t mention hot dogs without giving a shoutout to Flo’s. Located in Cape Neddick, Maine, they’re less immediately local, but still close enough for a visit. Where else would you say you can get an amazing hot dog in Portsmouth or the surrounding area? You’re Invited to a Intergenerational Feminist Discussion!